They Got It! PLUS: How to “fire” a customer and keep them coming back for more. Not only has my $29.95 been swiftly refunded in the wake of my veiled threats to mentally blow up pallets of translucent polypropylene laptop covers (see 2010: The Year of Saying: “I Got It!”) but this recent NYT rant about being e-snubbed has gotten the equally e-gnored out in the streets, poking their pitchforks HR-ward. In my post I described in graphic detail what I believe goes through the average customer’s mind, synapse by synapse, when a vendor fails to respond, either personally or even, “droid-ally” (auto-responder). I confess my plea that finally hit paydirt included a link to my post, and a promise that I’d amend my pyromaniacal ways if refunded immediately. Ouch! Did I just stick a pin in everyone who looks vaguely Chinese? Well, cases like this don’t help anyone who looks like me, what with the China product-recall stories on CNN of late. Your $29.95 has been refunded. Your return item may not get processed properly due to too many orders coming in during the back to school season. Moreover, I believe you are the most nasty lady we have ever met or imagine after we read your blog. Why? Because you think every person you trade online are lier or cheater or whatever. I think somehow you must have a very ugly mind inside. As a reputable power seller on eBay and Amazon, we have served over 100,000 satisfied buyers so far. God damaged the package we sent to you during the transportation process. 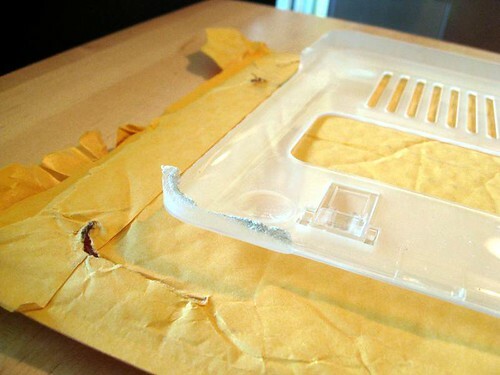 We ship thousands of orders every month, why was only your package damaged? Because you are NOT blessed by God as your mind is full of evil. reputation at all with your single exception as we are seeing our sales increasing every month. 3) Blog less and spend more time to enjoy your life, not trying to teach somebody else like an expert. Ironically, a Customer Evangelist – doomed or otherwise – is not offended by this kind of reply. It shows there’s a bod, not a bot pressing keys somewhere our there, getting carpel mouse syndrome just like me. Now if only they’d responded four months earlier to my pleas, everything would have been different. Of course their sales will continue to soar, which I applaud, but if, like Mr Hirschfield, my post made just one company more conscious about the importance of responding, my work is done. So what’s a softer way to tell a customer off? I’m really sorry we haven’t been able to meet your needs. We’re a small company and though we are pretty good at doing custom orders, there is only so much we can do with our limited resources. We’re refunding your deposit, because we believe in under-promising and over-delivering, and we can’t promise we can make you happy. We hope you understand. Now, that’s a company that “get’s it.” I immediately quit my nitpicking and ordered the most expensive model in the catalog. It got me from downunder to upover today. The Galfromdownunder is currently blogging in the Bahamas with a customer (separate rooms of course), but is cutting her trip short and donating the rest of her holiday funds to Haiti – including the $29.95 from iPearl Inc.